Come to Tenneson Nissan to explore our 2018 Nissan Rogue models for sale in Tifton, GA! This new compact SUV offers such desirable features as LED Daytime Running Lights, LED Taillights, and power heated outside mirrors. Experience these comforts in person after you schedule your Rogue test drive near Valdosta and Albany. The 2018 Nissan Rogue arrives in four trim models. Drivers of the base model Rogue S will enjoy a new crossover that delivers 170 horsepower. When it comes to fuel economy, expect 26 MPG in the city and 33 on the highway. Along with its Rear Cross Traffic Alert, standard features include comfortable seating for five, Forward Emergency Braking, RearView Monitor, Blind Spot Warning, and LED Daytime Running Lights. 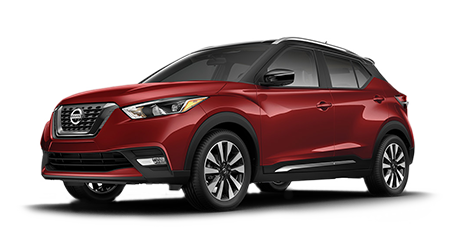 The Rogue SV comes with the same features as the Model S, along with Nissan Intelligent Key®, Push Button Ignition, and 17-Inch Aluminum-alloy wheels. The 2018 Rogue SV also includes Dual Zone Automatic Temperature Control, a 6-way power driver's seat with power lumbar, and Remote Engine Start. If you are shopping for the Exclusive Midnight Edition black 17-Inch alloy wheels, black outside mirrors with LED turn signal indicators, black roof rails, and black crossbars, then the Rogue Midnight Edition is for you. Next in our model line is the 2018 Nissan Rogue SL. Here we find the same comforts as the SV plus a Motion Activated Liftgate, NissanConnect℠ with Navigation, Mobile Apps and Services, an Around View® Monitor with Moving Object Detection, and Leather-appointed seats. If you are in the market for a Hybrid crossover, take a look at the Nissan Rogue SV Hybrid. Along with 176 horsepower, this Hybrid SUV delivers 33 miles-per-gallon in the city and 35 highway MPG. Notable standard features include an Energy Flow Gauge, Underfloor cargo storage, and Engine Idle Start/Stop. For a new Hybrid SUV that comes with all the bells and whistles, the Rogue SL Hybrid delivers the luxury ride you want. Slip behind the wheel to enjoy Leather-appointed seats, NissanConnect℠ with Navigation and Mobile Apps, Around View® Monitor with Moving Object Detection, and a Motion Activated Liftgate. Our Nissan sales team is eager to help you find the new Rogue you deserve. After you choose the ideal model for your garage, our finance department will guide you through the Rogue financing process. 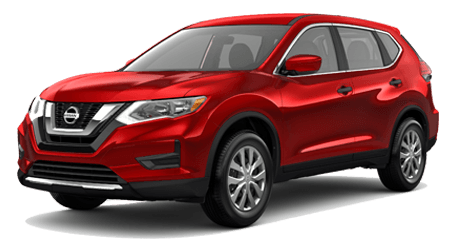 Visit our new and used Nissan dealership in Tifton, GA, to view the 2018 Nissan Rogue! We hope you discover a new crossover that will boost your versatility and cargo room needs. Make the short drive from Valdosta and Albany to Tenneson Nissan today! The Nissan Rogue is one of the most popular Nissan models on the market and for a good reason. There now so many Rogue models available in Tifton, GA that it's easy to get confused. Many people wonder which Nissan Rogue comes with the third-row seating! When you need an available third-row seating packing in your new Rogue, you can choose a specific trim level. We have a quick guide that might help you break down which Rogue offers the seating you desire and which Rogue does not! Like the majority of traditional SUVs, the standard 2016 Nissan Rogue only comes with two rows of seats. However, with the 2016 Nissan Rogue, many things are possible. This is one of the smaller SUVs on the market, but it still offers an innovative optional third-row for those seeking extra seating. When you are considering 7-seater SUVs, it will help to note that the 2016 Nissan Rogue is also one of the more affordable SUV options in Tifton, GA. The new Nissan Rogue has a cabin that's comfortable. You'll forget you're in an SUV. Top it off with fantastic safety ratings, and you'll pretty much have the perfect vehicle. The new 2018 Nissan Rogue offers many innovations. You can access Apple CarPlay and Android Auto connectivity, a Rear Cross Traffic Alert, LED Daytime Running Lights and Automatic Emergency Braking. However sadly, the new 2018 Nissan Rogue no longer permits a third-row. At this point, all Nissan Rogues including the Rogue Hybrid will be five-seaters. You can still expect greatness from this innovative SUV as it offers 170-hp with a 2.5 L 4-cylinder engine and up to 26-mpg in the city and 33-mpg on the highway. When you choose this new Rogue model, you might lose the 3rd-row seat, but you gain a ton of innovation! Now that you're well aware of which Rogue models have the third-row, you can explore our new inventory in Tifton, GA. Schedule a test drive at Tenneson Nissan and enjoy all that a pre-owned Rogue with a third-row seat can offer you!